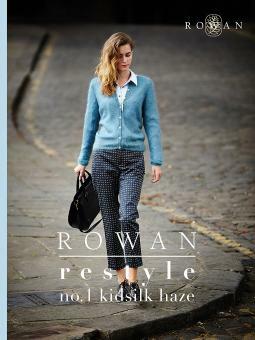 Rowan Restyle is quite simply a different perspective. The concept is to show how garments taken from the Rowan archive can look completely different. By restyling with a relaxed casual approach and adding key pieces of jewellery or accessories a fresh modern look can be created. Includes 10 patterns using Kidsilk Haze and Kidsilk Haze Stripe - fabulous value!